Booking and payment by November 14th to canadarome@gmail.com. 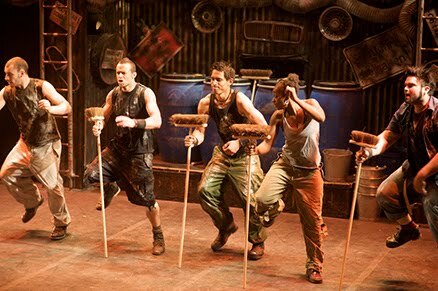 After the outstanding success achieved in recent seasons, STOMP is returning to Teatro Olimpico. One of the most groundbreaking and exciting entertainment events of the past few years STOMP goes beyond plot, characters and words. bringing to the stage the sounds of our time. The formidable dancers-percussionists-actors-acrobats of STOMP give voice to the most common objects of everyday life: garbage bins, tires, sinks, brooms, mops - translating the intensely rhythmic noise of contemporary civilization into a Symphony. Please note that a limited numbers of seats are available at our CCR rate so please book early. Reservations will be accepted until 1700 November 14, 2010.